New York Mills, Minn. (January 30, 2015) – Among winter’s saving graces, boat shopping season offers anxious anglers the opportunity to stroll the aisles at boat shows and marine dealers to admire this year’s new rigs. What a feeling it is to climb aboard a new Lund dream rig: smell the fresh carpet, take command of the high-tech console, strike a hook-setting pose when no one’s looking. Wont’ be long now . 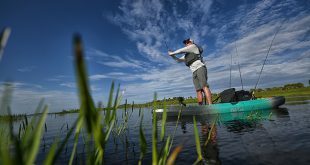 . .
Making the choice to own a Lund is easier than ever, the legendary boat builder has introduced its popular SPRING CATCH rebate program. 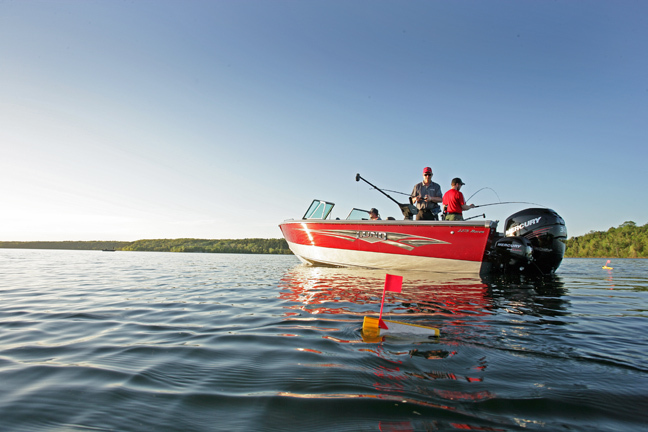 Fishing season gets closer by the day, and to make sure anglers greet the water in style, Lund is offering rebates of up to $2,500 on select 2014/15 models. But just like a great spring bass or walleye bite, you’ve got to act fast to land the biggest catch. Now through March 31, the SPRING CATCH program provides a special opportunity to shop early and to get your order in to secure a new Lund just the way you like it. Not only are there cash discounts offered, but select models such as the 1675 Impact, 1675 Crossover XS, 1650/1800 Rebel XL, and 1625 Fury XL also include a free Travel Cover as an extra incentive. 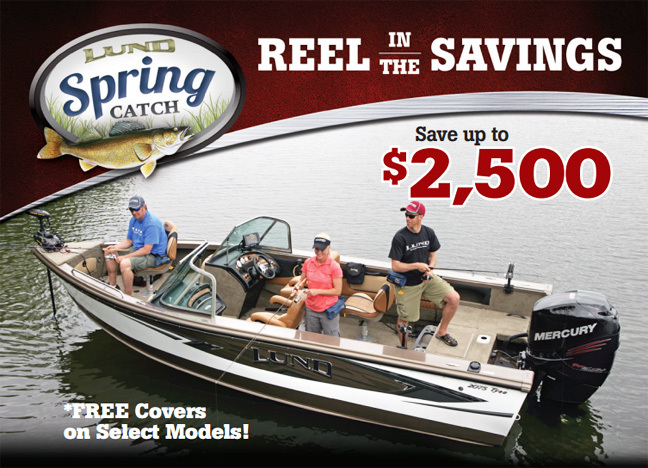 To see the full SPRING CATCH program details, visit lundboats.com. Then shop Lund’s full fishing fleet, and even build your own customized Lund boat with the exclusive Build-A-Boatonline app.